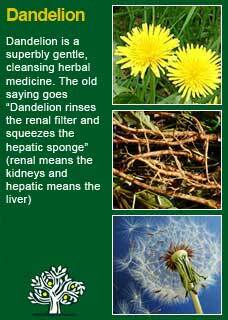 The parts used in herbal medicine are the strongly scented, tapering roots. 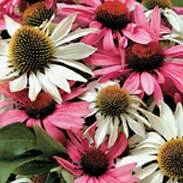 Echinacea, (commonly known as Purple Coneflower), originates in the Prairies of Western America. 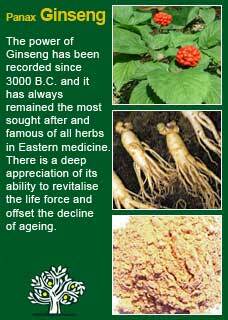 It is a beautiful, long-lived herb that grows up to a meter in height. Echinacea was a universal toothache and gum disease remedy among Native Americans of the Great Plains; they used it by packing the pulverized root around the affected area. 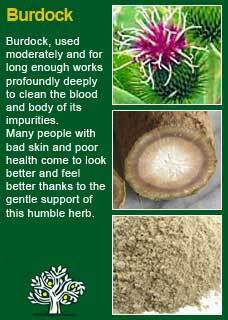 Plains tribes, such as the Cheyenne, Comanches, Kiowa, and Teton Sioux, all used Echinacea root widely for infectious diseases and to promote the healing of wounds. One of its common names translates to 'Snakeroot' because it was the herb they trusted most to save them from snakebite poisoning. The great physiomedicalist T.J Lyle wrote 'In puerperal septicemia give half to one teaspoonful (of Echinacea) every four hours, or half teaspoonful from two to four hours'. Bearing in mind that this (puerperal septicemia) was a condition of pregnancy that would commonly be lethal if it was not treated fast and effectively, we can be sure that this remedy was seen to work. Echinacea was adopted by the Eclectic school of medicine in the mid-1800s (these were regular doctors who used a great deal of herbal medicines in their practice), by the 1920s it was their most commonly prescribed medicine. The British Herbal Pharmacopoeia (BHP) describes the actions of Echinacea as antiseptic, anti-viral and a peripheral vasodilator, citing that it combines well with Burdock for boils and with Myrrh for pharyhgitis or tonsillitis. "Once in Arizona, I was bitten by a Centruroides exilicauda scorpion, the only potentially lethal poisonous scorpion in North America. I didn’t know I’d been bitten, but thought I’d been stabbed by a cactus thorn. Soon my arm was numb, an itchy rash crept up my legs up to the knees, and my pulse rate rose to more than 100 beats per minute. I went to bed, but didn’t figure out what had happened until I woke the next morning and my pulse rate was still over 100. Realizing it was a scorpion bite, I began taking large hourly doses of Echinacea angustifolia —a folk remedy of the Plains Indians for rattlesnake bite. Nothing much happened for the first five hours, but then I fell asleep and woke as if nothing had happened. I have only a small scar from the bite, and a fondness for Native American herbalism to show for it today." 1) yes, it clearly does give a palpable benefit in the area it has been tested on the most (upper respiratory tract infections) and the higher the dose the better the effect but I see that even the top end of any of the dose ranges they used is much lower than what I typically use in my own practice and I'm positive that the Plains Indians used it in much higher levels when they had an acute need as well. Echinacea truly is a potent tonic for the immune system and when healthy individuals are given Echinacea and have their blood tested before and during the treatment there are several typical changes that happen. ~ 1) Their neutrophils rapidly increase in the first 24 hours. Neutrophils are white blood cells that are short lived (just a few days) but can be made in great numbers if needed. They are the main arm of the immune system that initially deals with general poisons, bacteria and waste products. ~ 3) A process known as phagocytosis steadily increases over the first 5 days of treatment with Echinacea and then remains at an increased level for as long as the herb is taken. Phagocytosis is the name given to how white blood cells literally swallow up foreign material like debris, toxins and bacteria. The strength of this is what we can see when we look at that 'streaming' affect inside the white blood cells under the microscope. 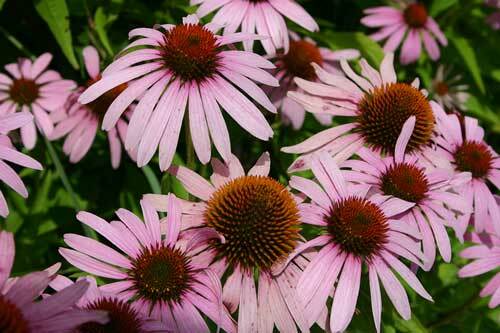 It is widely believed that taking Echinacea over long periods causes it to lose its effectiveness. 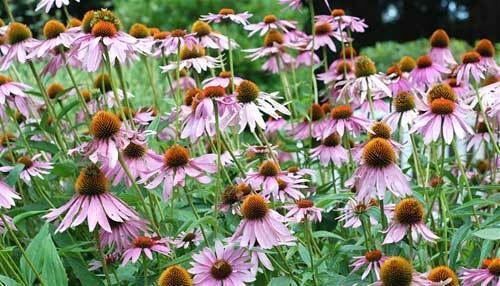 Consequently, people are often recommended to take Echinacea for no longer than 10 days before taking a break. This belief came about from a widely quoted German study that was published in 1989 which showed that the increase in phagocytosis from taking Echinacea started to decline after taking the herb for 5 or 6 days and then slowly dropped back to a plateau by about day 10. However, simply through an inadequate translation from the German, what was not made clear in the reporting of this study is that the volunteers stopped taking their Echinacea on day 5! In fact, what the study showed was that the benefits of Echinacea took a few days to wear off but it was completely misunderstood and misinterpreted. From this small mistake, an enduring myth has been born. 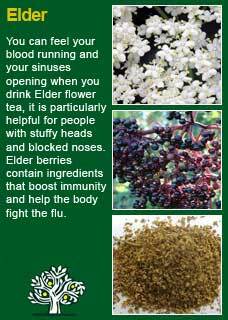 Echinacea can certainly be used long term without losing its overall immune enhancing effects. The increase in white blood cell counts does go back to normal levels in healthy subjects (it remains high in sick people) but it has been proven in subsequent studies that the phagocytosis (the level of activity of the white blood cells) does not diminish with continued Echinacea use. Echinacea is extremely safe to take, even in high or frequent doses, by the young or old, and by pregnant or breast-feeding women. The only time I would stop to think about its use potentially be unwise is with a person with an auto-immune condition. Even then I would not automatically count it out in every case because many auto-immune problems have an unresolved infection at their root. I am well aware that, aside from the above myth, there are many other cautions and concerns creeping into the popular literature on Echinacea but, as things stand, despite copious use by millions of people, it is an extremely safe, and reliable, herb -- don't be afraid of it. Note: you should disregard all media reports that show Echinacea doesn't work when they have used the above-ground parts of the herb -- they used the right plant but they got the wrong part! 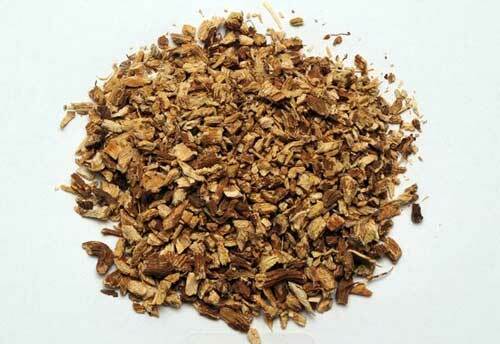 I could not imagine practicing herbal medicine in the 21st century without Echinacea. I have literally seen it change lives and save lives and I use a very great deal of it in my day to day work. I see that many people have severely compromised immune systems and I also see that this appears to be a worsening trend. The increase in allergies in children is just one sign of the growing trouble. 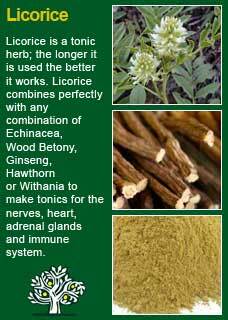 Many adults with chronic fatigue have depressed immune systems and there may be no better help for the young or old to recover their resistance to disease than this precious herb. I use a microscope to do a live blood analysis which is especially useful to assess the health of the immune system. People with low immune systems have very inactive and dull looking white blood cells -- they sit there looking like 'steamed puddings'. On the other hand, a healthy white blood cell literally glistens and shimmers with good health -- quite beautiful to see. These cells stay alive for quite some time if the sample is prepared right and what we are witnessing is a phenomenon known as ‘cytoplasmic streaming’ -- which gives a good gauge of the vitality of the immune system. Over many years of using Echinacea and seeing the rapid and potent effects on activating and increasing people's white blood cells I have developed a deep trust in Echinacea and consider it a most potent ally. 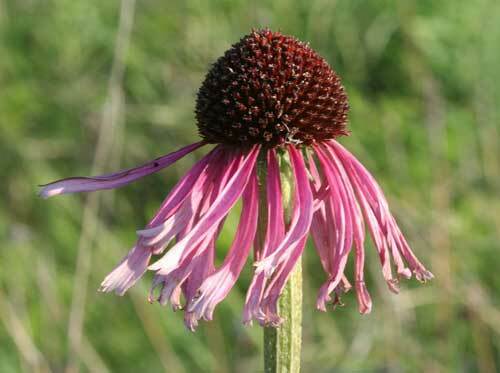 Echinacea is not really suitable as a tea, it is best taken as a tincture, or in capsules, or chew the root like the Native Americans did. 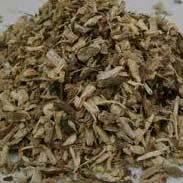 Echinacea purpurea is good but, if you can get it, use Echinacea angustifolia is the best first choice, especially as it is the one with all the long use in traditional Native American medicine. 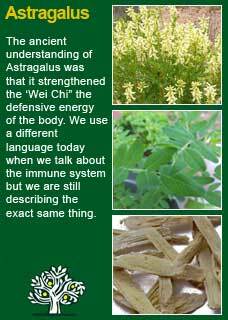 My favourite way to give Echinacea is along with what I consider to be the other truly great immune strengthening tonic herb: Astragalus. We get the raw organic material in bulk of both these herbs and then send them to a local company to process in equal parts into capsules so that I can easily give strong doses of them for as long as needed without running into too much expense for my patients. 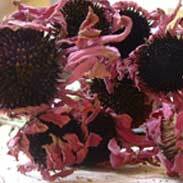 Echinacea also combines perfectly with Withania for people with low energy causing them to have a run-down immune system, with Licorice root to assist endurance, with Elderberry for viral infections and with Dandelion root and Burdock root for skin problems or other conditions where we need to achieve deep cleansing throughout the body and the blood. 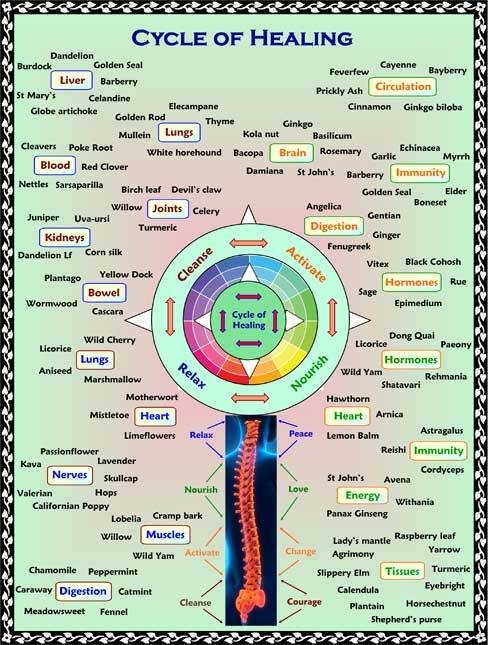 Much of the information here about the traditional uses Echinacea is consistent with the model of thinking whereby one may treat problem A with plant B. There is value in this approach, especially in how it helps us pass on useful knowledge to one another, but it falls short in one vital area; and that is that people are not all cut from the same cloth! Something that works brilliantly for one person may do less for another -- why is this?